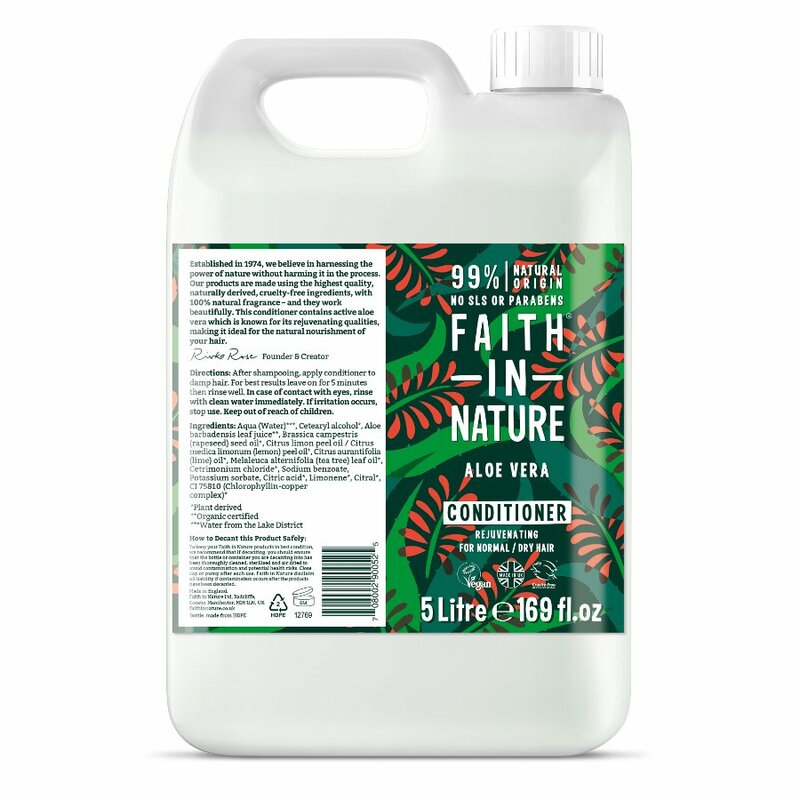 This Aloe Vera conditioner from Faith in Nature contains natural enzymes amino acids and polysaccharides to balance sebum (oil) production helping to regenerate your hair. 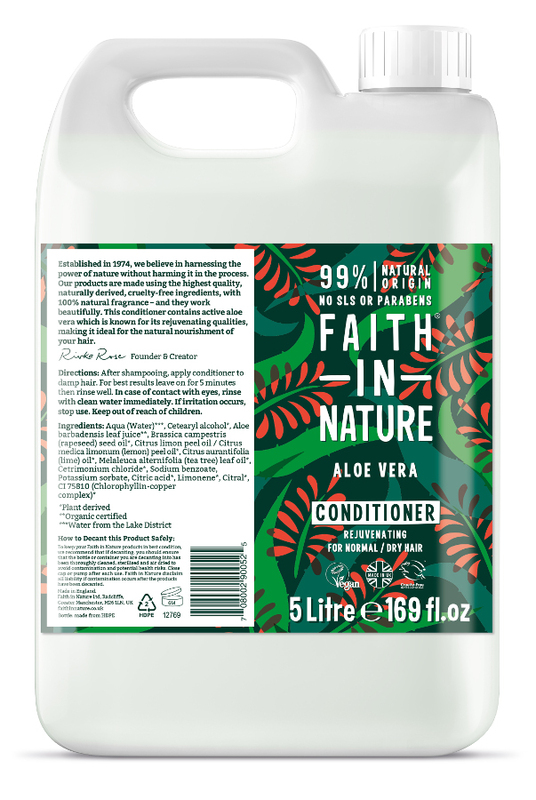 With natural aromatherapy essential oils and herbal extracts this conditioner contains aloe vera to soothe and heal and has been shown to be helpful against dandruff and hair loss resulting from seborrhoea. 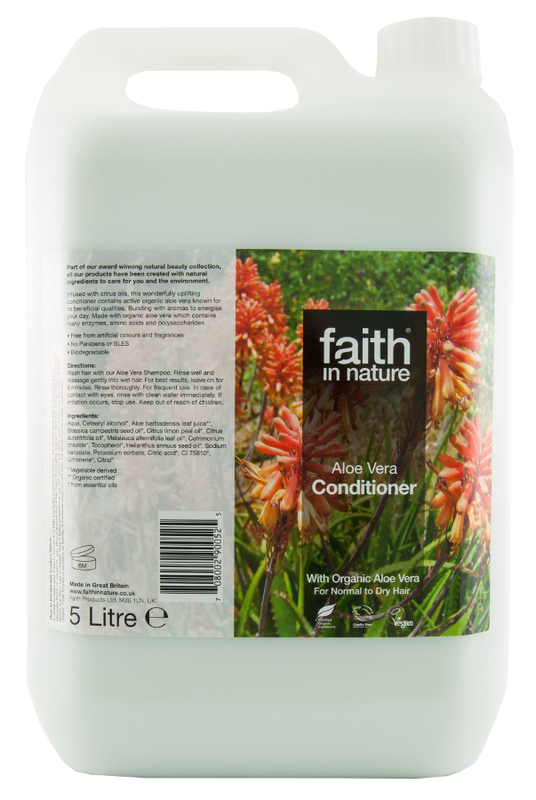 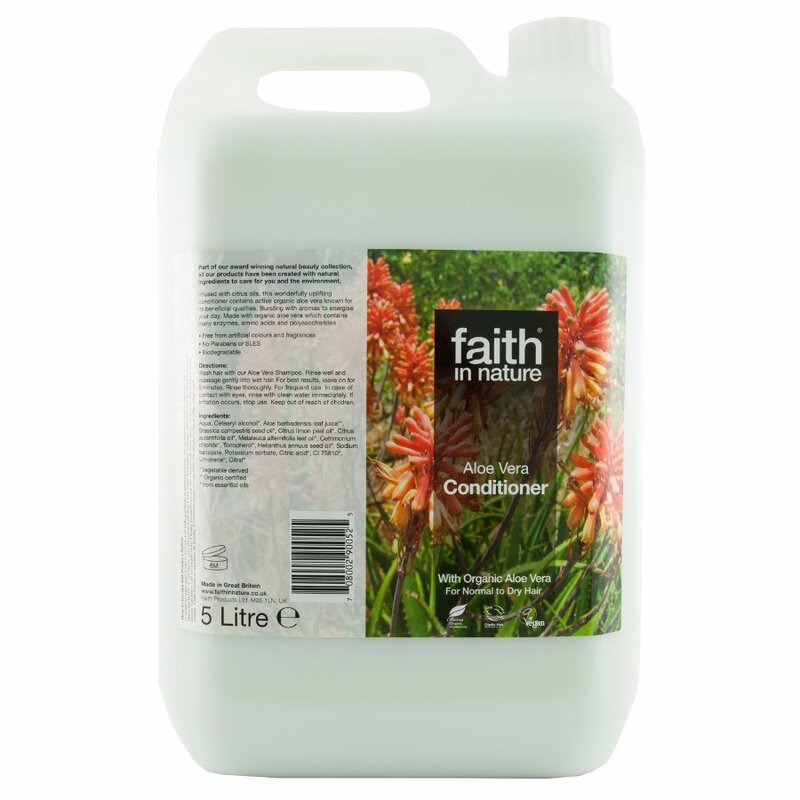 There are currently no questions to display about Faith In Nature Aloe Vera Conditioner - 5L.